Transferring to a new school in the middle of your college experience can make anyone nervous – and it starts with the admission process. We want to help you achieve success at University of Houston-Clear Lake, so we’ve assembled this helpful guide. 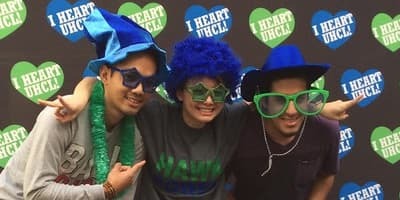 Submit your application to UHCL at ApplyTexas.org. If you want to enroll in an online or off-campus UHCL program, you should select the program on the application with your preferred campus location (e.g. HSH–Psychology BS- Sugarland) or the online option (e.g. BUS-Finance MS-Online). It is important to select the correct program so you receive important information about your chosen campus and for accurate enrollment records. Please note: selecting off-campus and/or online programs will not prevent you from enrolling for additional courses at the Clear Lake campus. Pay a non-refundable application fee of $45 through ApplyTexas.org . Submit an official transcript from every college or university you have attended electronically. We will process your application after you have submitted the necessary information. You can then log into UHCL E-Services to review the status of your application. Just make sure you review the application deadlines before you begin! 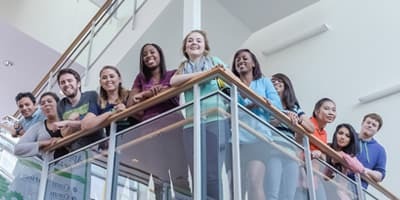 The transfer application process considers factors like the number of college credit hours on your transcript and your grade-point average (GPA). 0-11 Must meet freshman admissions criteria. All grades earned from college-level courses, including repeated courses, are used to compute the transfer grade point average. Applicable course work from regionally accredited U.S. institutions is accepted. Other course work may be accepted by review on a case-by-case basis, if equivalent to course work offered at UHCL and applicable to appropriate programs. Technical courses are not considered when calculating the number of hours completed. Plus and minus grade designations are not used to determine the cumulative transfer GPA. Remedial or developmental course work is not used in the calculation of the transfer GPA. You are eligible to return immediately to the last institution you attended. Once you’re accepted, you will work with our transfer counselors to ensure you get the maximum credit for the classes you have taken already and to plan your coursework at UHCL. *This plan is not available to UHCL freshmen. It is exclusively available to qualified transfer students seeking their first bachelor’s degree. Qualified transfer students must transfer a minimum of 33 hours which must include at least 15 hours of technical electives. The RN to BSN program is designed specifically for licensed registered nurses seeking a BSN degree. The RN-BSN degree plan is offered two days of the week in a face to face classroom experience. The full-time program can be completed in three to five semesters. Apply online and pay a non-refundable $45 application fee for domestic applicants and $75 for international applicants. Submit official transcripts from every college or university attended. To expedite processing, request transcripts be sent electronically. Hand-delivered transcripts should not be more than 60 days old and in a sealed envelope from the issuing institution. International applicants should review the Office of International Admissions website for additional details of application requirements. Verification of Licensure from the Texas Board of Nursing to practice as an RN in Texas will be verified by the Nursing Office after application, transcript(s) and fee payments have been received. This document should not be submitted online through your To-Do List in E-services. Application for admission into the RN-BSN Program follow the same guideline as the University of Houston-Clear Lake general admissions dates for fall and spring semesters. 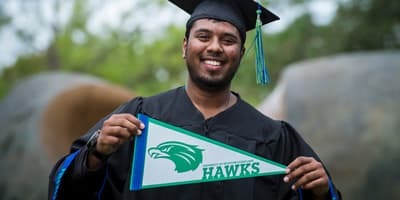 For additional information, please visit the admissions website page at www.uhcl.edu/admissions. Please request your official transcripts be electronically sent to UHCL. This will ensure faster processing of application. For more information regarding the application process, please contact the Office of Enrollment Services at the Pearland Campus at plenrollment@uhcl.edu or 281-212-1690.